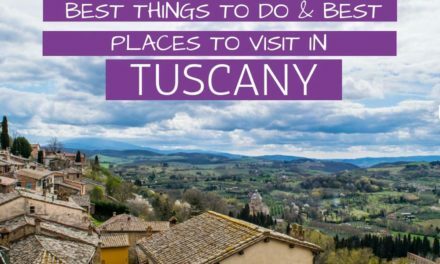 Probably one of the most Instagramable places in the world is Italy – which doesn’t come as a surprise as many villages are a treat for the eyes with their colorful houses lined up along the coasts or set on hills. 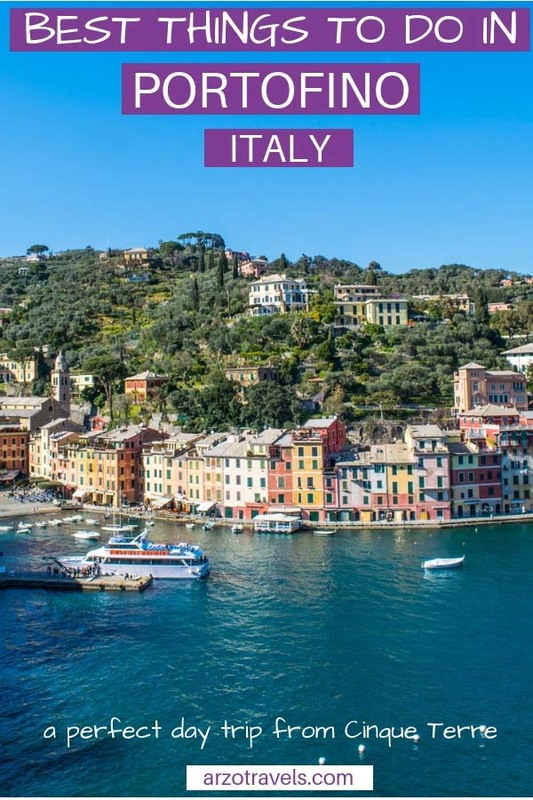 One of the most Instagrammable places in Italy is Portofino and one of the best day trips from Cinque Terre. 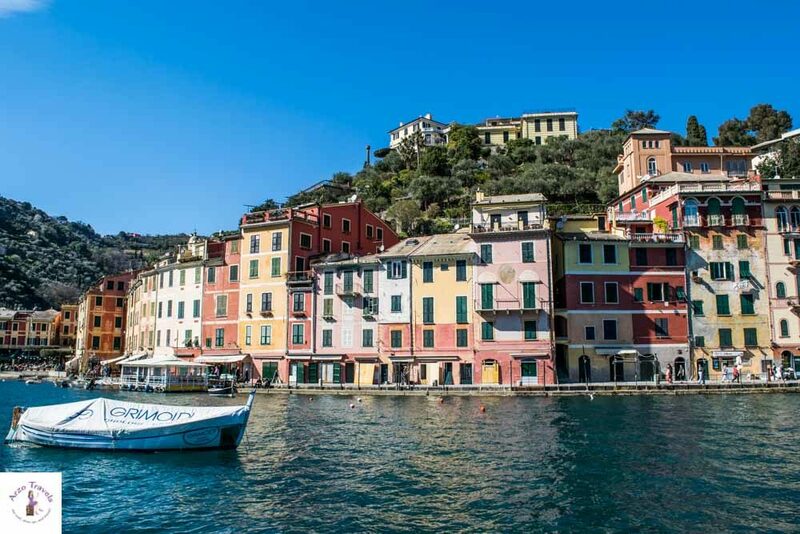 Portofino is indeed picturesque. The fishing village is famous for its picture-perfect harbor and as a popular hotspot for the rich and famous. 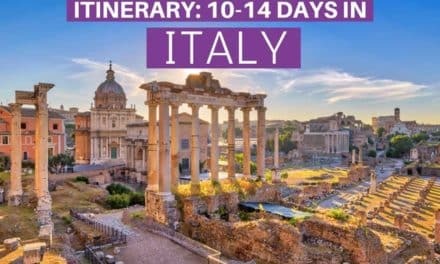 Located in Liguria, it makes a great day trip from either nearby Genoa, Liguria’s capital, or the world-famous Cinque Terre. 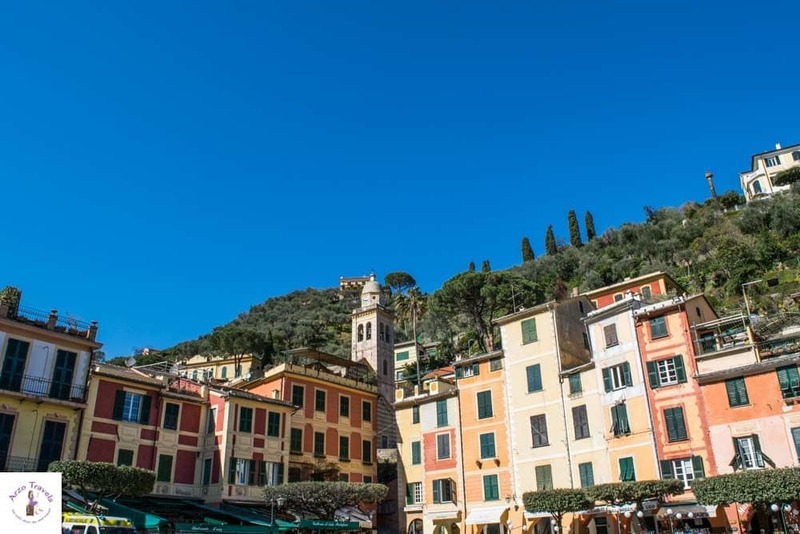 This quick guide will help you plan your day trip to Portofino – find out how to get there, what to do and see, and more travel tips. 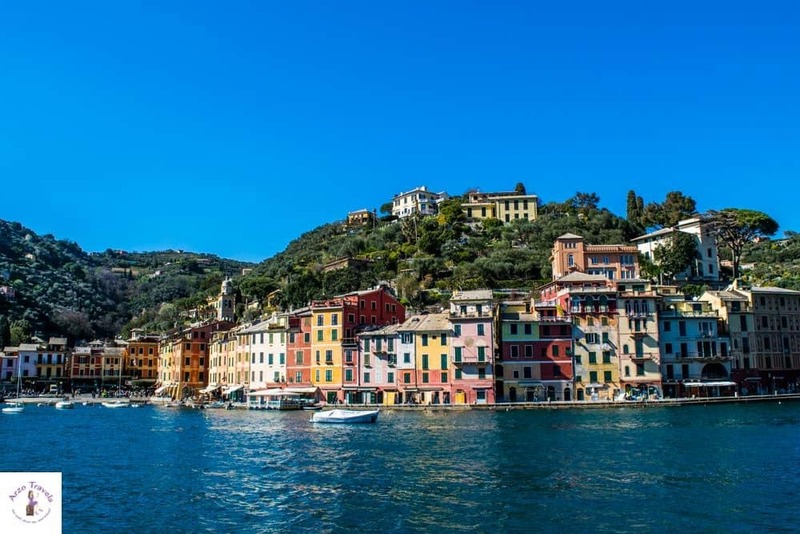 Portofino lies southeast of Genoa and is easily accessible from Genoa, Santa Margherita, or Cinque Terre. 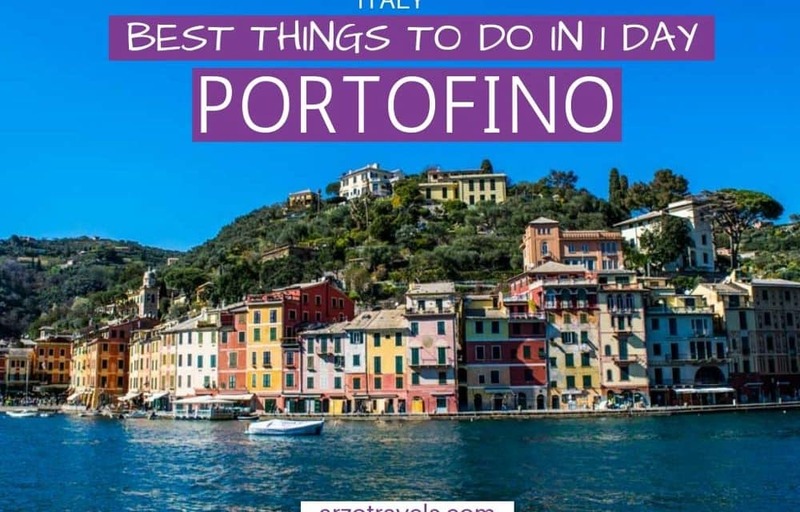 Portofino doesn’t have a train station though (and the streets are currently closed as a result of a bad storm in late 2018), so you cannot drive there yourself. But even if the streets open again to the public, it is not recommended to drive because of the narrow streets and few parking options. So, from CinqueTerre, you can take the train to Santa Margherita, Liguria and then either take a boat (a roundtrip ticket for the boat is 12€) or the bus (a roundtrip ticket is around 5€). Both the bus and boat tour take about 15-20 minutes. 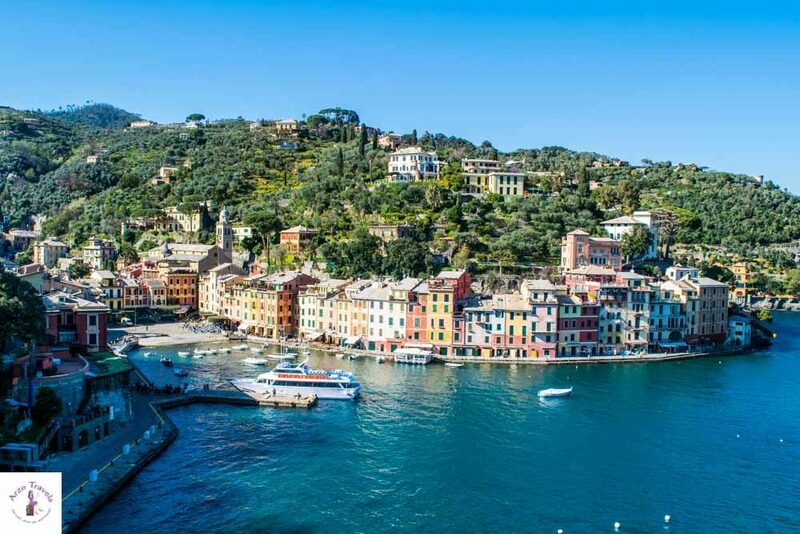 From Cinque Terre to Santa Margherita, it is about 45 minutes and about 30 minutes from Genoa. You can also walk from Santa Margherita if you are fit and want to soak in the views. The hike there is not flat though, so wear appropriate shoes (takes around one hour to walk). Arriving via boat is the more scenic way. So, if you do not get seasick, opt for this. To be honest, I was a bit disappointed by how small Portofino actually is. However, this also means that you can get around easily on foot. Just wear comfortable shoes to discover the village at your own speed. 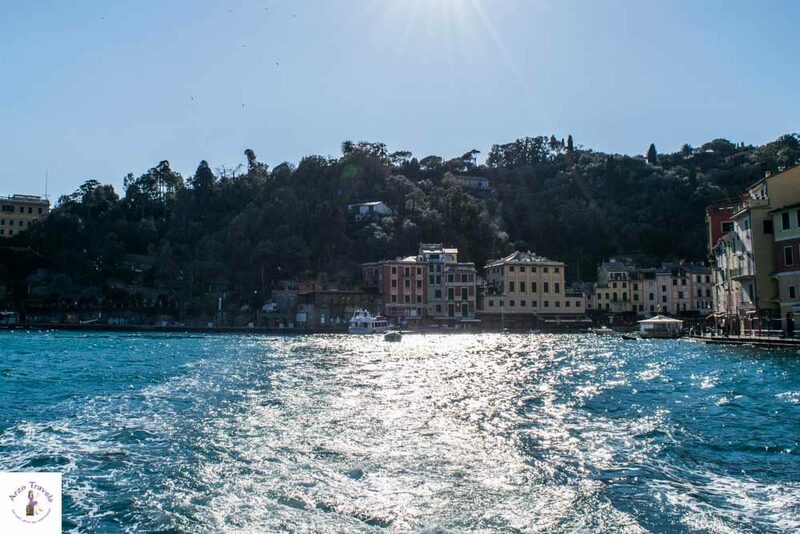 With only 400 inhabitants, Portofino is tiny – and the actual list of attractions and activities is not long. 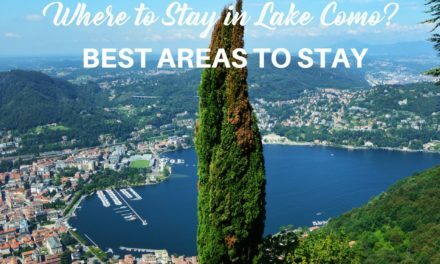 So, here are my tips for the best things to do in Portofino. 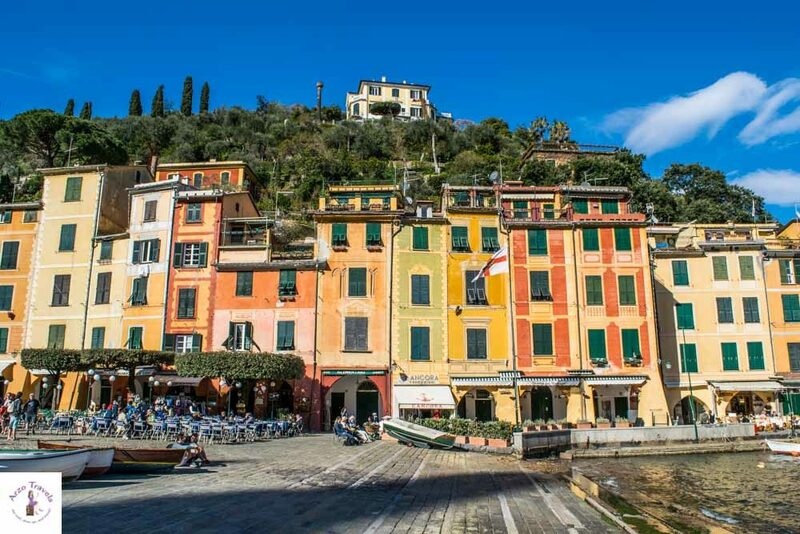 The colorful harbor, with its brightly-painted houses, represents the Italian Riveria at its best. With several cafes and restaurants lined up along the harbor and the Piazetta, it gets lively and busy on warmer days. And as it is a destination for the rich, it is also the place where I had the most expensive cappuccino ever (I know, 4€ is the regular price in many European cities with a lot of tourists, but 4€ for a cappuccino is quite a lot in Italy since cappuccino is normally one of the cheapest drinks you can have here and are around 1,50-2,50€ only) – but the view is well worth it. You also have a lovely view of Castello Brown from the piazza. 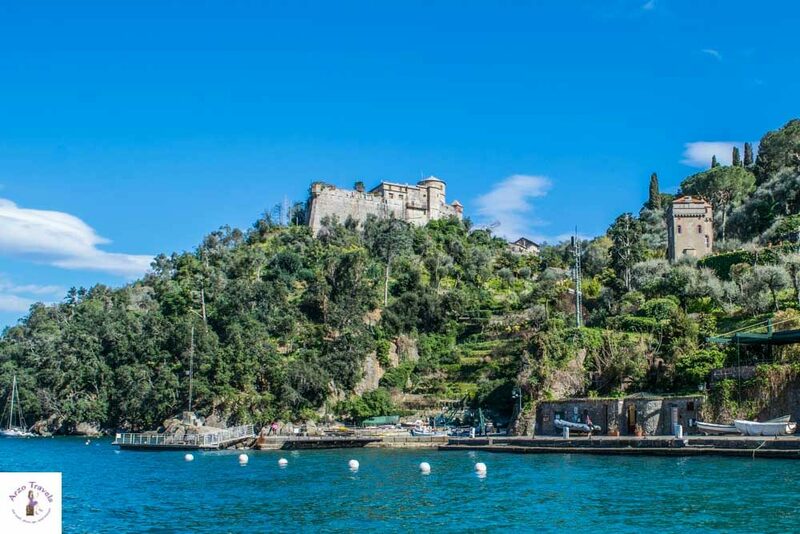 The castle sits on top of a hill overlooking the Gulf of Portofino, the harbor, and the colorful houses. You can do a hike up and also enjoy the gardens for an entry fee of about 5€. 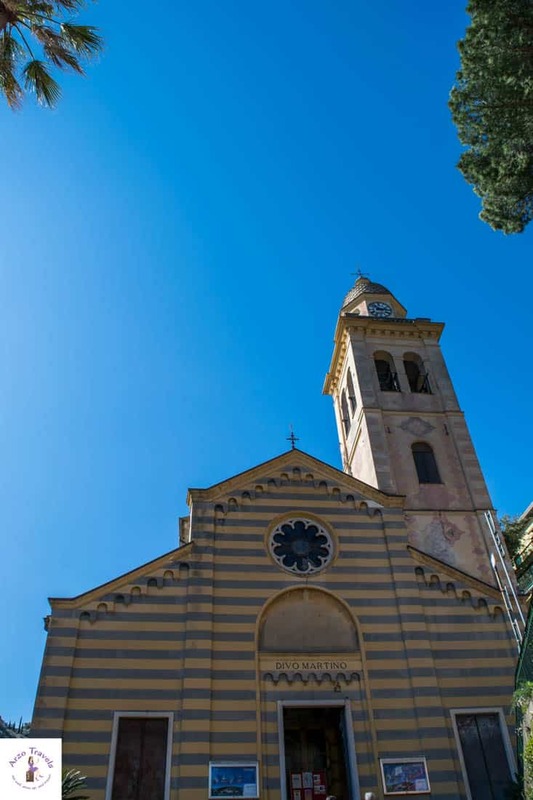 On your way to Castello Brown, keep an eye out for Church of San Giorgio. It is an uphill hike, but it takes only about 15 minutes or so and is well worth it. This view was free, and for those of you who really dislike hiking, this is a nice alternative to Castello Brown. The church itself is nice, but not spectacular. If you stand at the harbor and turn right, instead of left towards the castle, you will find some little, narrow streets that you can stroll through and discover. One of the first buildings you will probably spot is the Chiesa di San Martino, which is lovely to look at from the outside, but also quite impressive on the inside. 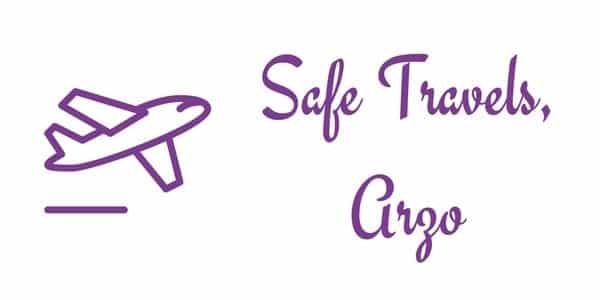 It is small, but make sure to check it out. There are not many places where you can chill and rest better than in Portofino. 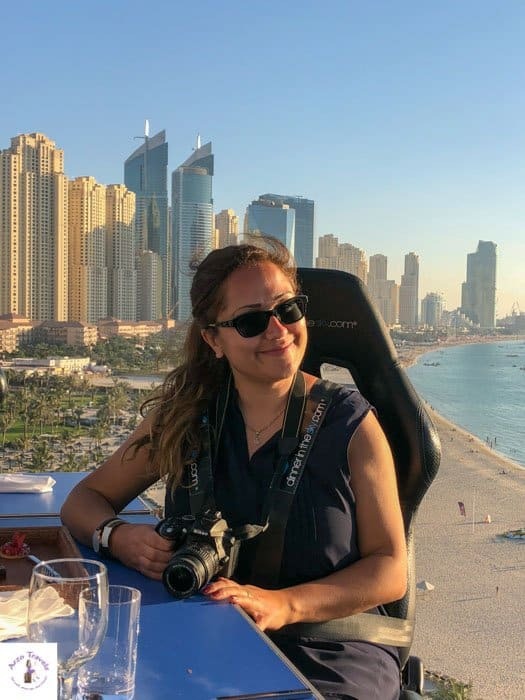 The harbor section is probably too busy to swim in (especially in the summer with all the yachts and frequent boats coming and going), however, it is a nice place to sit down, work on your tan, and enjoy the Italian way of life! 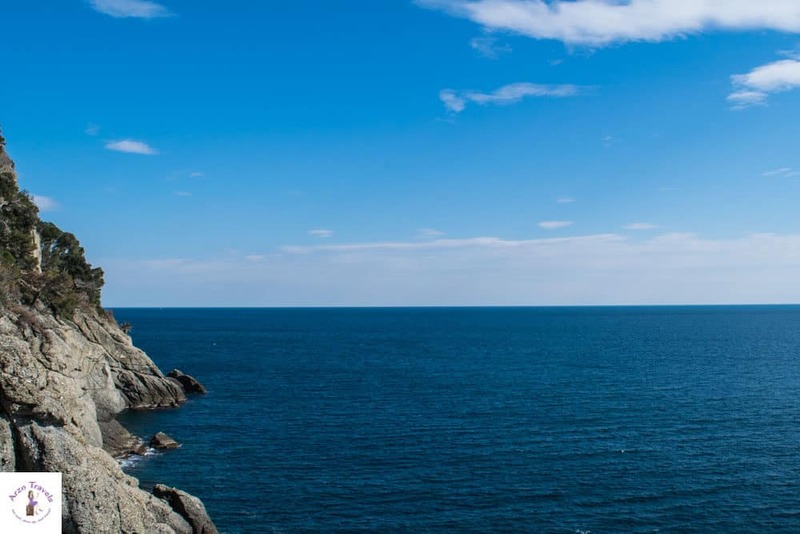 If you are a diver, you can search for the Christ of the Abyss, which is a submerged bronze statue of Jesus Christ that is located between Camogli and Portofino. 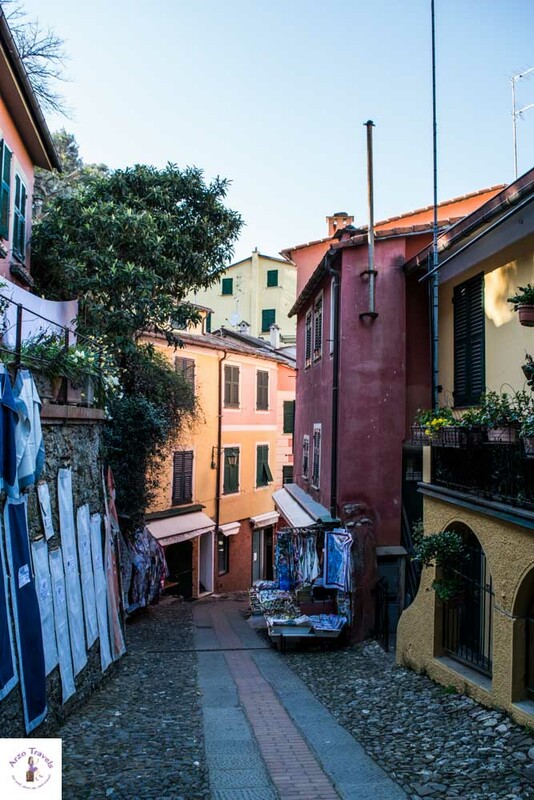 Portofino is a beautiful village along the Ligurian coast. 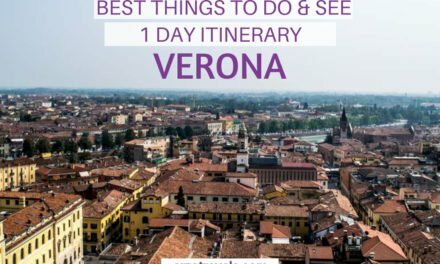 Personally, I would probably get bored if I stayed here for more than one day (I loved Santa Margherita though) and would recommend visiting for only a day, or even half a day – and so it makes a great day trip from Genoa or Cinque Terre. Is Porto Venere the More Beautiful Portofino?